Knowing how to clean a dog’s teeth is important not only as part of a dog dental care regime, but it is also a great way to bond with your dog, whatever their age. But before we share with you our advice on how to clean your dog’s teeth, let’s answer some of the most common questions about the subject. ‘How many teeth does a dog have?’ – asks Ann Rice. Like humans, dogs are born without teeth. 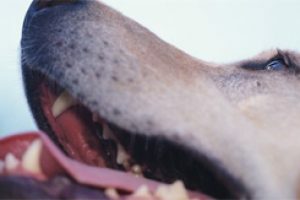 But when they are only a few weeks old, a puppy will begin to develop milk teeth. By 16 weeks, a puppy will have 28 milk teeth before giving way to their adult teeth at around 6-8 months old. Adult dogs have 42 teeth. ‘How do I get rid of dog breath?’ – asks Marcia Barrett. A dog’s diet can play a key role. Brushing their teeth and gums to keep them healthy and free from plaque using chew toys and dental chew treats, such as Pedigree® DentaStix Twice Weekly™ is scientifically proven to help reduce tartar build-up and helps to keep your dog’s teeth and gums healthy and strong. ‘How often should I clean my dog’s teeth?’ – asks Lynsey Rayner. 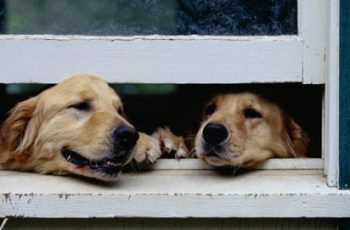 Longtime dog owner Carole Matthews shared her advice with us on how best to clean a dog’s teeth. Here are her four top tips on how to get a dog comfortable with the practice. You will need a few essential items to clean your dog’s teeth at home. The first is a suitable toothbrush that’s sized to fit their teeth perfectly for maximum benefits. If your dog is a toy or miniature breed, a small pet toothbrush is ideal. If your dog is a small dog, I find that a child’s toothbrush will work well and for any medium-large breeds, an adult’s toothbrush will be suitable. Next, you’ll need a dog toothpaste and luckily, they are mostly quite meaty flavours (my own dogs love the beef flavour). Human toothpaste has chemicals that could be harmful, so a toothpaste made just for dogs will make sure you avoid any unnecessary or harmful chemicals. Find a quiet spot for you and your dog to sit down together away from any distractions. If you can, try to do this at the same time every day so it becomes routine for your dog and you. The goal is to get them used to the idea of having their teeth cleaned, so treat the learning process like a training session. Keep the sessions short, this may be only a few minutes, don’t worry if that’s the case, just remember to stop while your dog is still relaxed and happy. To get your dog used to the toothpaste and brush, first introduce the toothpaste to them by putting a small amount on your finger and allowing them to lick it off. This is why choosing a flavoured toothpaste designed to appeal to dogs works well! Next, after your dog has shown they like the taste of the toothpaste, put a little more on your finger and run your finger along a gum on the inside of their mouth. You should do this for a few days until your dog is comfortable before introducing the toothpaste on a toothbrush. 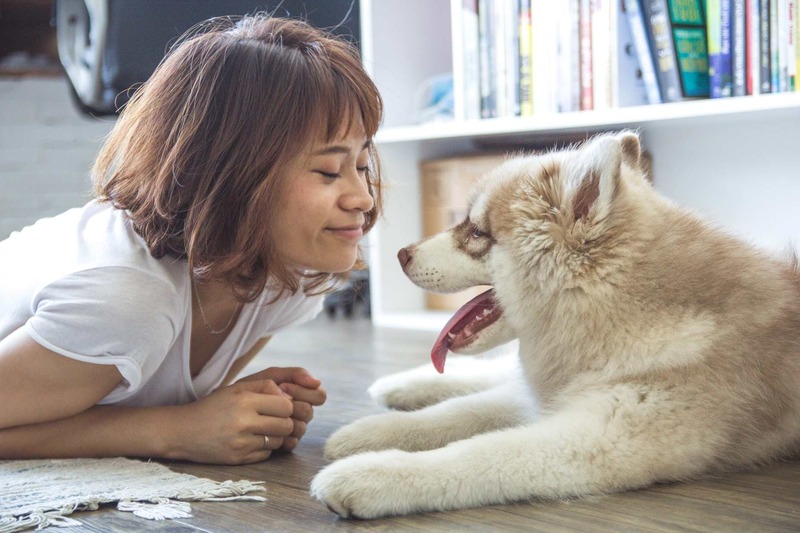 Remember, it’s all about taking small steps to make sure your dog is fully comfortable and happy because brushing their teeth will be a regular activity for you and your dog to enjoy a few moments of bonding time together. I always try to start this practice with my dogs from a young age to get them used to it. After a few days, introduce the toothbrush and allow your dog to lick the toothpaste from its bristles. Once your dog is comfortable with the toothbrush, wet the bristles and add toothpaste, pushing the toothpaste down into the bristles. Next, begin by brushing the front teeth slowly in small circular motions. Begin with the left side before moving to the right. Stop regularly to allow your dog to lick the brush and feel like they’re receiving a reward. You may need to hold your dog’s muzzle gently to keep their mouth closed (this is to stop them chewing when the brushing begins). If so, this is perfectly normal, just remember to take it in small steps so your dog remains calm and comfortable. It will also help to keep you calm too if you’re nervous when doing for the first time (which is also perfectly normal, I was too). 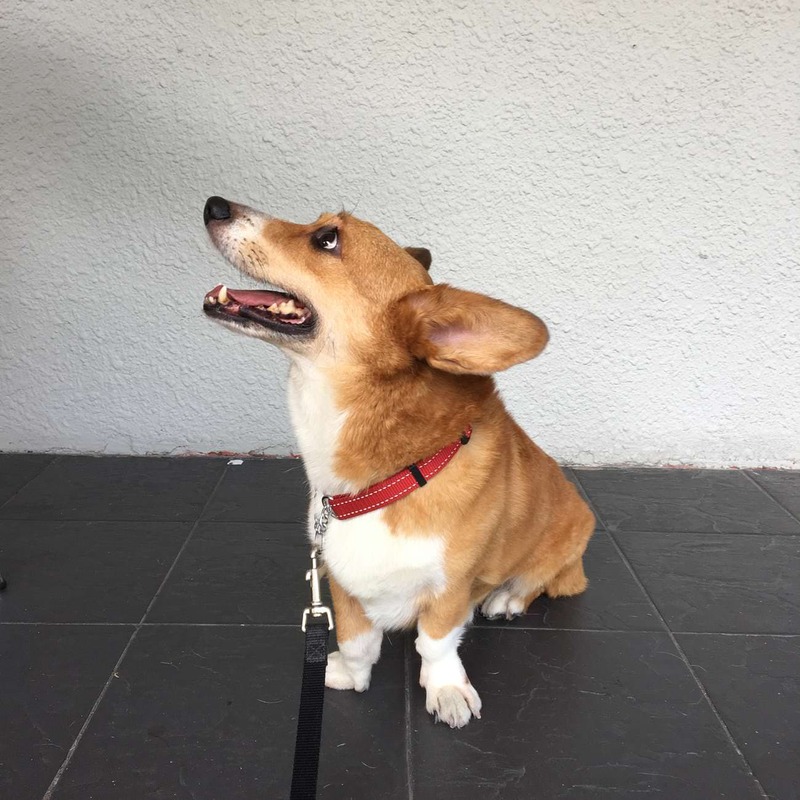 Once your dog is happy to let you brush their front teeth and canines (the longest teeth), you can move onto their back teeth, repeating the process as above. It may take your dog a couple of weeks to feel entirely comfortable with having their teeth cleaned. Each dog will get comfortable at their own pace. The trick is not to rush and make sure you stop each session when they’re still happy, so you end on a positive note. 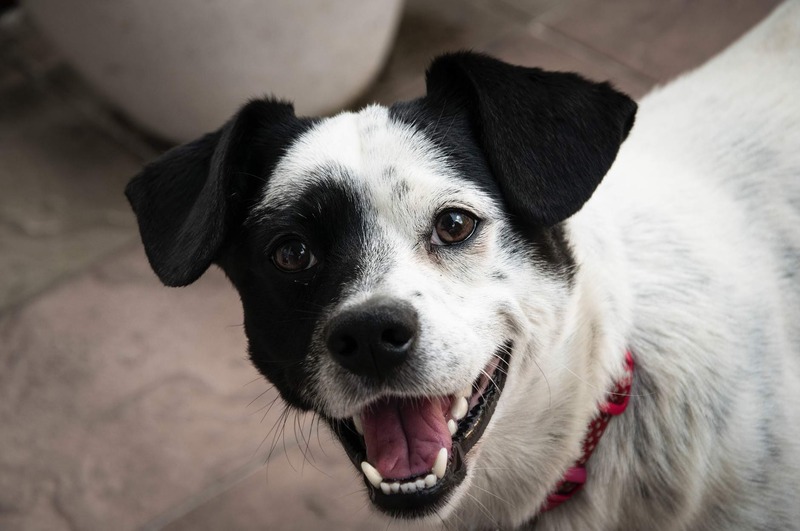 As well as daily cleaning, you can help your dog’s dental care regime by introducing other fun items, such as chew toys or treats, which are designed specifically to help remove plaque from their teeth as they chew. I’ve found chew treats work brilliantly for dogs of all ages, so even if your oldest dogs start to chew their toys less because their teeth become more sensitive, something you’ll no doubt have noticed if you’ve ever owned an older pup, a tasty dental treat will usually always tempt them! And of course, it’s always worth setting up a regular health check with your vet for a dental check-up once or twice a year. This article is sponsored by PEDIGREE® DentaStix Twice Weekly™.